Retirement is something many of us will look forward to. Saying goodbye to the world of work, the daily grind and having to get up at 7am every weekday morning are just reward for decade after decade of turning up to our jobs on time, putting a good shift in and contributing to the economy in our own way. Once we retire though, the question of what we have to live on might soon arise. We might not necessarily contemplate retirement before we turn 40, but as we get older, thinking about the future is something we might have to do, especially as you can never be too sure what’s next. To provide for retirement, workers typically either rely on a workplace or basic state pension, but what other options are there, especially if saving for old age has been forgotten about? 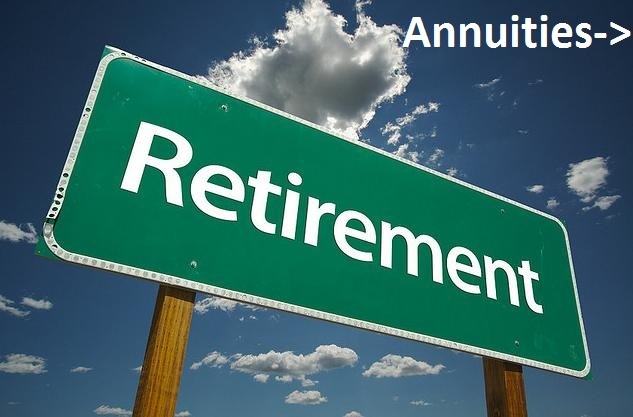 Many savvy savers choose to take out an annuity for retirement, which guarantees them a certain level of income over several years, depending on how long they want it to last and how much they have actually saved. However, falling rates have proved problematic for many workers hoping to take one out, which has often resulted in people not saving for retirement at all. The fact that annuity rates have been slashed to as little as 2% by some providers shows that they don’t quite represent the same value for money that they had done as recently as a few years ago so “saving for retirement at the youngest age possible is always advisable and beneficial” say the financial advisors at My Pension Expert. Given their relatively low yield, perhaps accepting the basic state pension doesn’t seem so unpalatable, but savers are having to consider their options more than ever. In order to get a good deal, many people approaching retirement are left with little choice but to see what they can do to get the most money possible to provide for their ‘golden years’. This means exploring alternatives to workplace pensions and annuities, but in the current market, it might seem nigh on impossible to find such a financial product. Visiting an annuity comparison site may be a quick and easy solution, as it allows future retirees to find the best value pension in a short space of time. Also, those still in work could always try and save as much as they can without harming their capability to pay for all the essentials before they reach retirement age. Use of an annuity calculator might prove handy too for savers. As well as economic factors, rising life expectancy levels for both men and women are having an effect on the amount paid back by private pension providers. As we live longer, the rates have shrunk due to the expectancy that many of us are going to live well into our 80’s, which means that anyone saving will have to spread out their money over a longer period. A very interesting read – thank you!